I have to say, I am KILLING IT with the blog post titles these days. Like, creatively, everybody else can just take a beat. Because I am on fire with the post titles. "More about the new kitchen" INDEED. 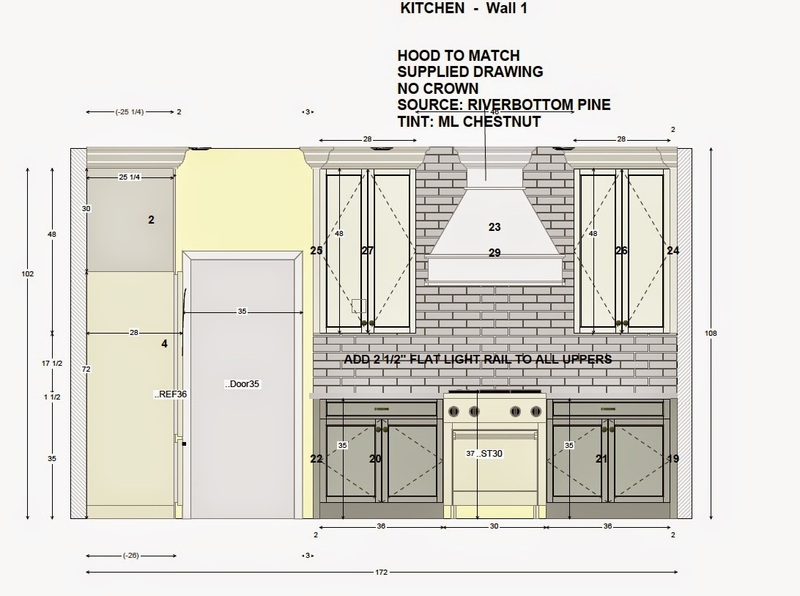 A couple of weeks ago when I posted the elevation for the kitchen at the new house, several of you asked if we were going without a microwave when we move. 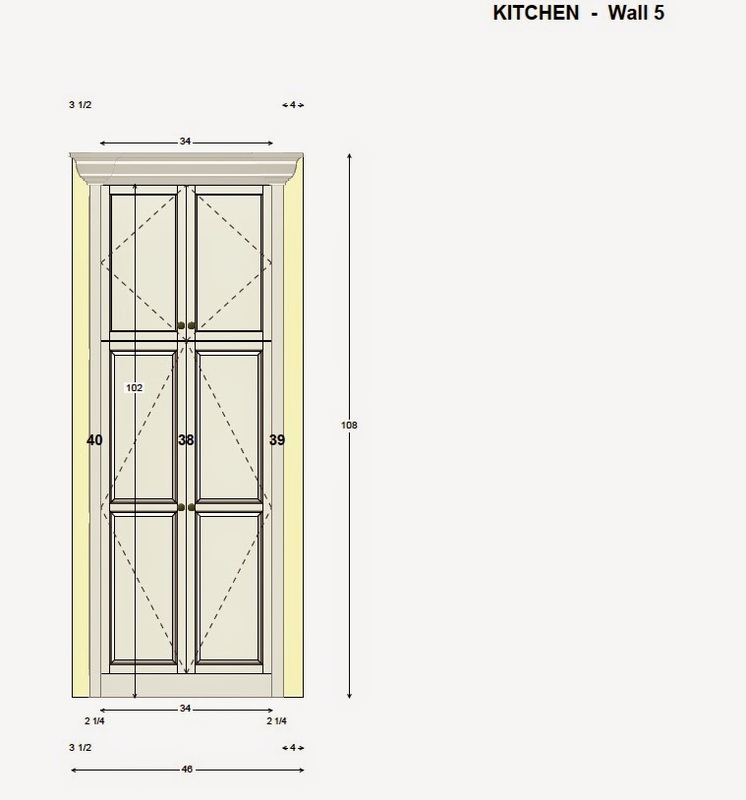 But how detail-oriented of you to notice that you didn't see one in the rendering! I just decided that I didn't want one mounted at eye-level in the new house, so I asked to have it installed in the lower cabinets. We don't use it every day, and when we do, it's only for a minute or two at a time (like most of you, I'm sure) -- you don't stand there for 20 to 30 minutes at a time like you do in front of a stove. So I think it will be fine at a lower level, and we won't have to give up the upper-level space to a big appliance. You can see a little more clearly in the 2-D that the cabinets are going to be Shaker-style, and here's my backsplash tile, below. I think it's going to make a really nice, graphic statement going all the way up to the ceiling over there. 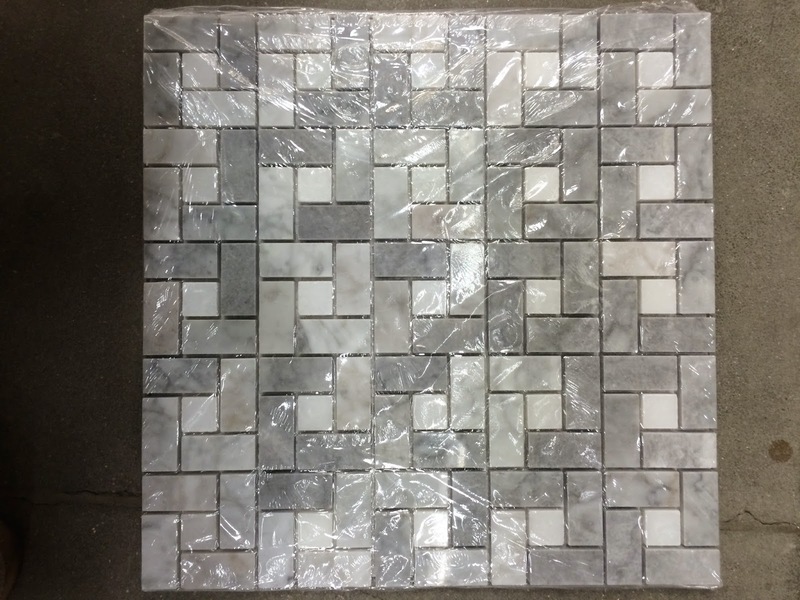 It's a Carrara Marble Mosaic from Lowe's. 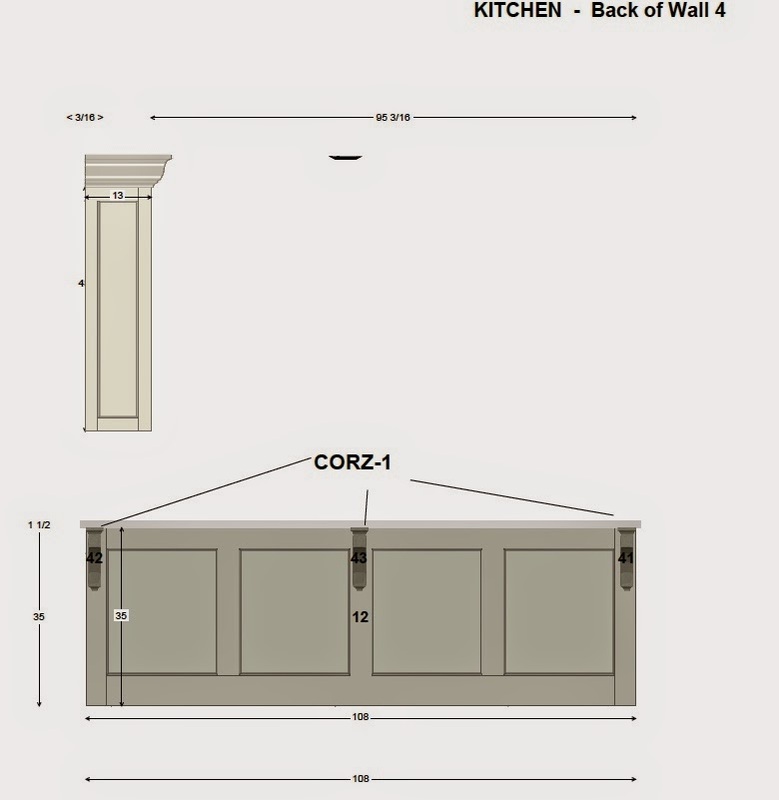 It's not shown on these drawings, but there will be a two-and-a-half-inch light rail on all of the upper cabinets to encase under-cabinet lighting. (You can see the notation for it there on the backsplash right above the sink.) 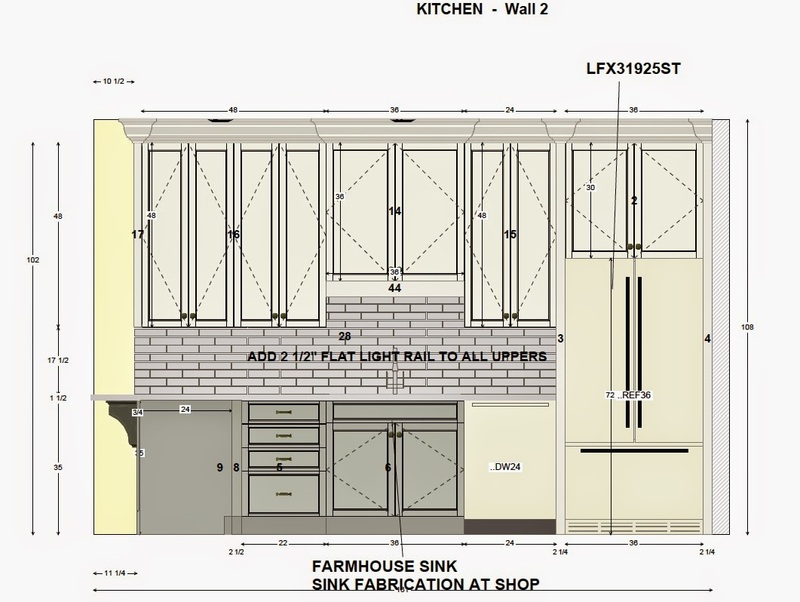 The only place it's actually added on the drawing is above the sink (item #44), but it's going everywhere on the uppers. And to the left of that wall, facing the breakfast nook and wall of windows, is the peninsula. 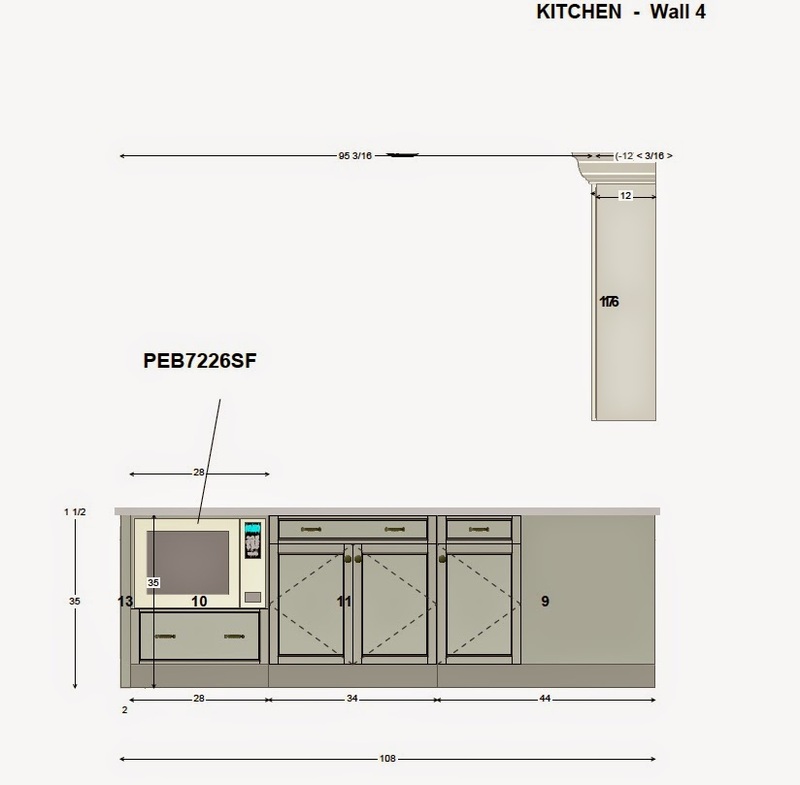 That's where the microwave will be, with a large drawer under it for pots or whatever. 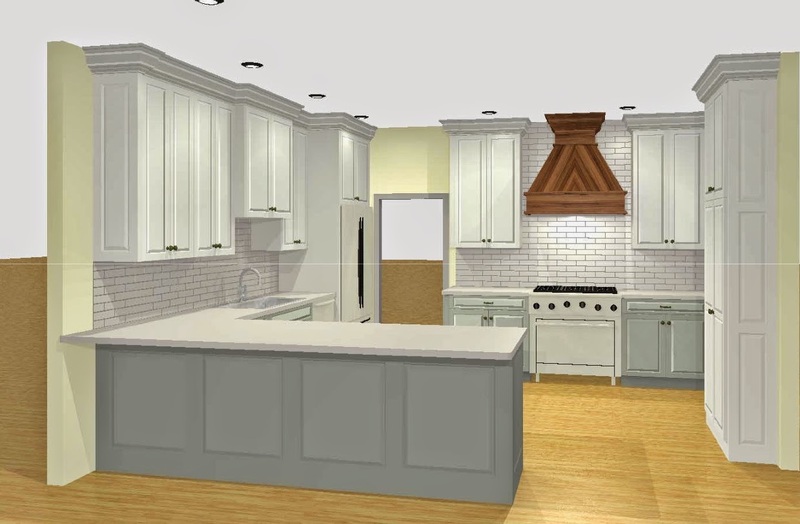 I can't TELL you how exciting it will be to see the kitchen come together ... that will be a banner day around here. Can't wait to share it with you guys!